The long, sun-kissed days of summer are already getting a little shorter, and the school season seems right around the corner. Whether your family has already had its big blowout vacation, or you’re just now realizing you let too many of the season’s blazing days get away, there’s still time to sneak in a road trip or two, before you pack away your shorts and sandals. It’s the perfect opportunity to head south to explore one of these simple, yet special, US destinations—just hours from the border. If you live anywhere in BC’s Lower Mainland, there’s a good chance that you’ve already spent some time near Puget Sound. This time ‘round, try heading in the other direction, when you dip south into Washington state! The town of Marblemount itself is no bustling metropolis. It is, however, the perfect opportunity to leave the city behind and to catch the beauty of nature only unveiled for a few months of the year. 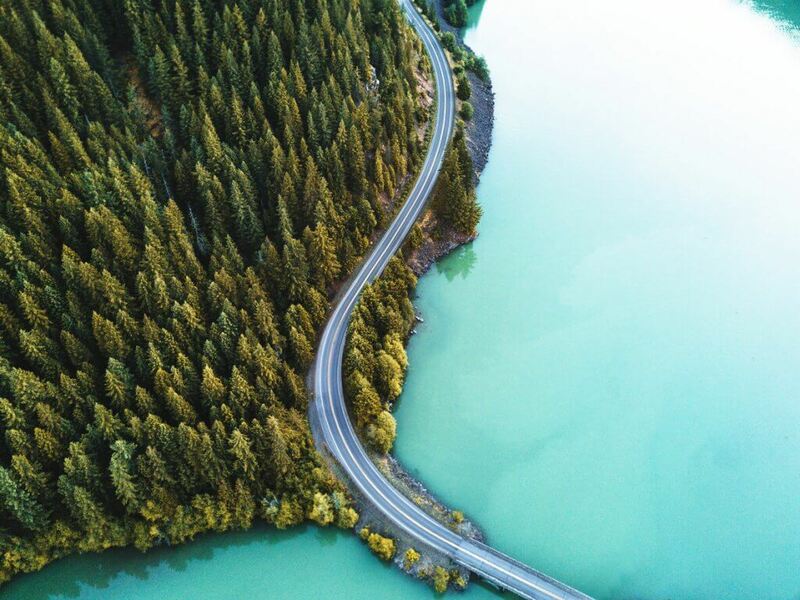 Beyond Marblemount, Highway 20 snakes into the Cascade Mountains through majestic passes, into tiny towns, and beside turquoise waterways. Between the passes is Diablo Dam. At the time of its construction in the 1930s, Diablo Dam was the tallest in the world. Today, it doesn’t have the same claim to fame, but it’s still one of the oldest operating hydroelectric dams in the US. 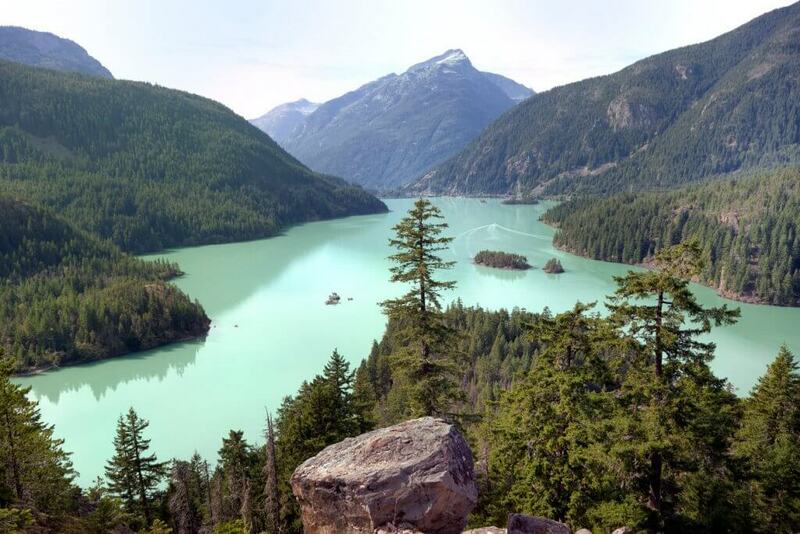 But the highlight of the experience is the gem-blue lake water and the wild, isolated environment, which give Diablo Lake a fairytale feeling. Head about 20 minutes easy and we’ll arrive at the Newhalem Visitor Center, which contains all the information that you’ll need for these mountainous woodlands. Home to the workers of the hydroelectric companies that operate and maintain the three hydroelectric dams in the area, Newhalem has a rich history as a Cascade Mountains village. Take some to plan a hike, since Newhalem is surrounded on all sides by the impressive Ross Lake National Recreation Area, and is near North Cascades National Park. Have a few extra days to spend away? Consider exploring the quaint, but memorable town of Oroville, Washington, just over 3 hours from Newhalem. Looking for a road trip south from Saskatchewan or Manitoba? There are few destinations offer a mixture of history, nature, and modern entertainment as Williston, North Dakota, does. At the confluence of the Missouri and Yellowstone Rivers, Williston proved a critical point during western American expansion for northern trading, military protection, and frontier settlement. 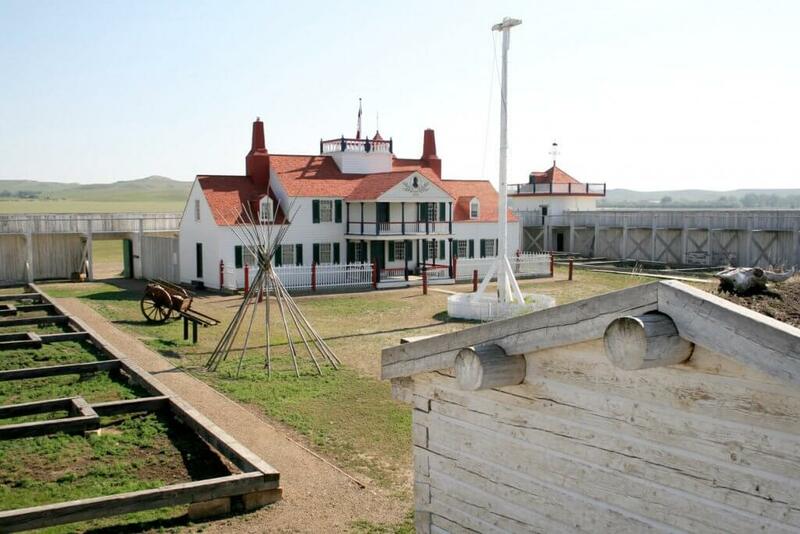 Fort Union is a very important part of North Dakota’s history. The Fort Union Trading Post is a must-see partially reconstructed trading post site and was one of the earliest National Historic Landmarks declared in the US. This recreated site reflects the early 1800s atmosphere that brought nearly a dozen tribes to trade buffalo pelts with settlers in the wild and rugged frontier. Williston is not just about settlement history, though. It’s also the junction of the beautiful Missouri and Yellowstone Rivers. The Missouri-Yellowstone Confluence Interpretive Center offers geological and geographical history of the area, but Mother Nature is the real star of the show here! And if you’re not interested in history or nature, Williston also offers golf courses, art galleries, fun parks, sports complexes, and the Williston Area Recreation Center, complete with an indoor surfing and wakeboarding facility. Thinking about extending your road trip to Yellowstone National Park in Wyoming? You can read about one of TuGo’s customers’ experiences and how we helped them when their adventure didn’t go as planned. The Great Lakes are calling! Head to Alpena for a less touristy experience. Michigan has plenty of tourist-driven Great Lakes getaways, and each of them has its own special appeal. But if you’re looking for an entertaining and adventurous twist on the run-of-the-mill lakeside trips, head for the city of Alpena, closest to Ontario’s Sault Ste. Marie border crossing. Alpena is home to the Thunder Bay National Marine Sanctuary and Underwater Preserve, a name that doesn’t really do it justice. 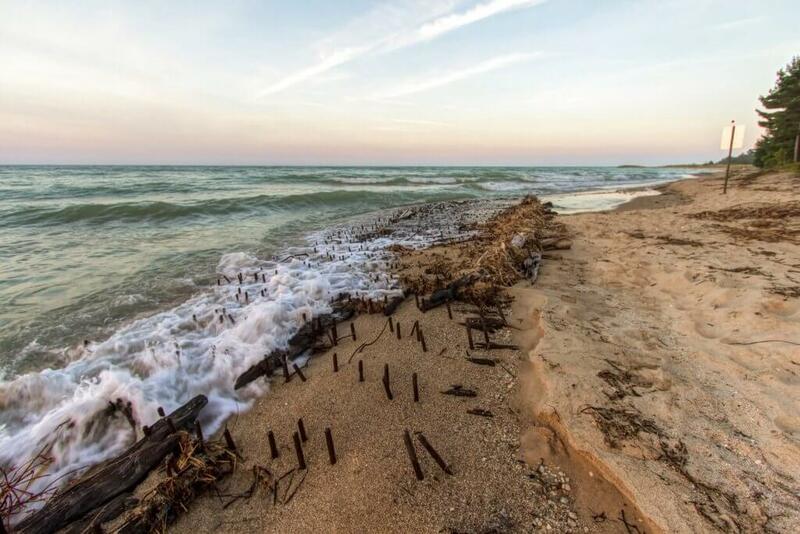 As any Great Lakes aficionado will tell you, the Lakes are extraordinary for their shipwrecks, and Alpena is shipwreck central! The massive sanctuary protects 116 historic shipwrecks, including everything from small wood ships to giant steel vessels. The Great Lakes Maritime Heritage Center is attached to the Sanctuary and provides a mountain of information on treacherous voyages. 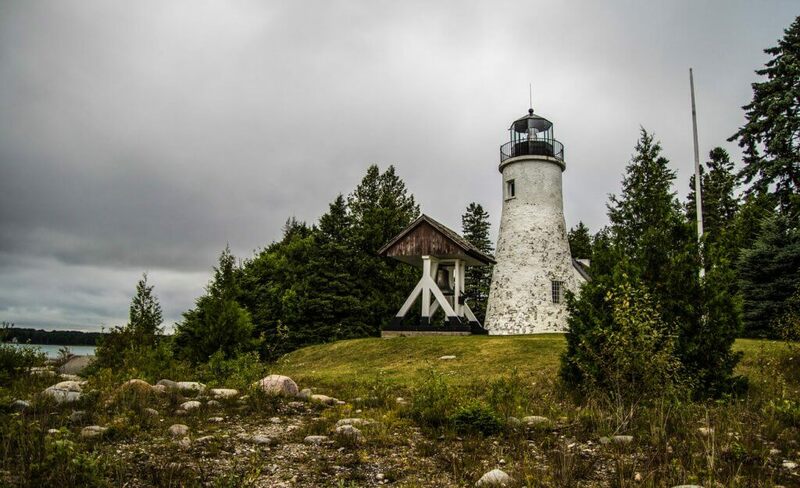 Just outside of Alpena, Michigan, take in the simple beauty of Old Presque Isle Lighthouse. Closest to the Kingston, Ontario, border crossing, and the largest city on this list, Syracuse, New York, may not seem at first glance like much of a find. However, late summer in Syracuse offers a specific experience that gives this trip to the empire state a unique flavour. Late August ushers in the beginning of the Great New York State Fair in Syracuse! See the lesser-known side of New York state, by exploring Syracuse. The Fair offers over 500 live performances in a 13-day span. It also features over 90 rides and one of the largest midways of any US Fair. It also offers an unexpected look at the agricultural side of a surprisingly agricultural state, that we tend not to realize exists. For a brief two-week period “the rest of New York” gets a chance to show off its culture and traditions. Outside of the Fair is still the entire city of Syracuse. 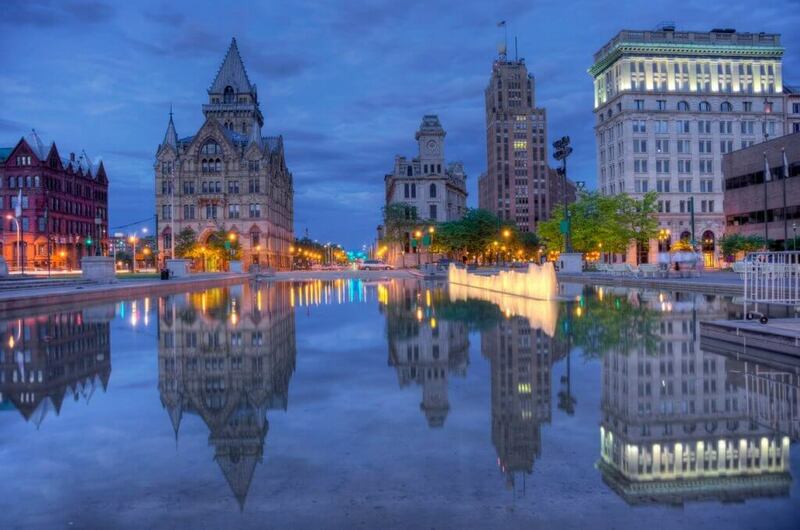 With its rich abundance of restaurants and architecture, landmarks and museums, Syracuse is a destination city, in its own right. Spend some time communing with nature at “the Central Park of Central New York”, Onondaga Lake Park, or Beaver Lake Nature Center, or learn about the histories of canals and agriculture at the many Syracuse historic sites. In the evenings, take in a bit of culture at one of Syracuse’s performing arts centers. Use this opportunity to see a side of New York we don’t often take the time to recognize! 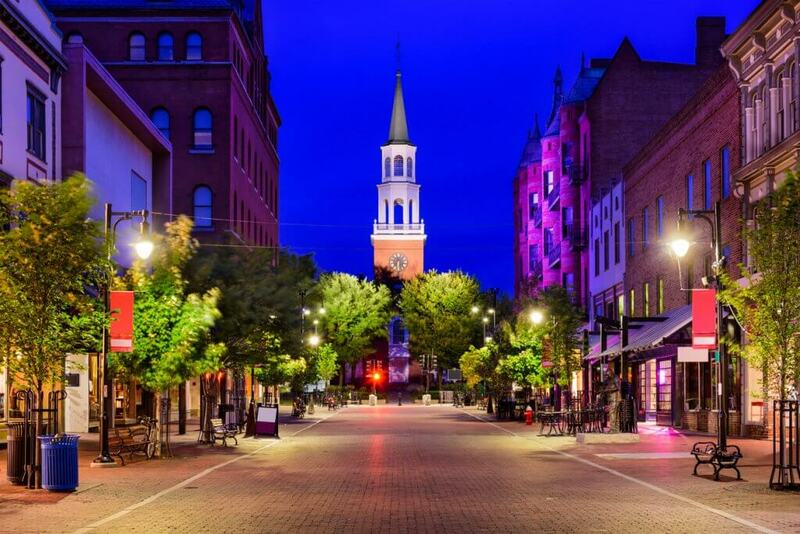 Less than 2 hours from Montreal, Burlington, Vermont, is a traditional college town, serving as the home to both the University of Vermont and Champlain college. It’s also the stage for a generous mix of quaint, but comforting, vacation entertainment. 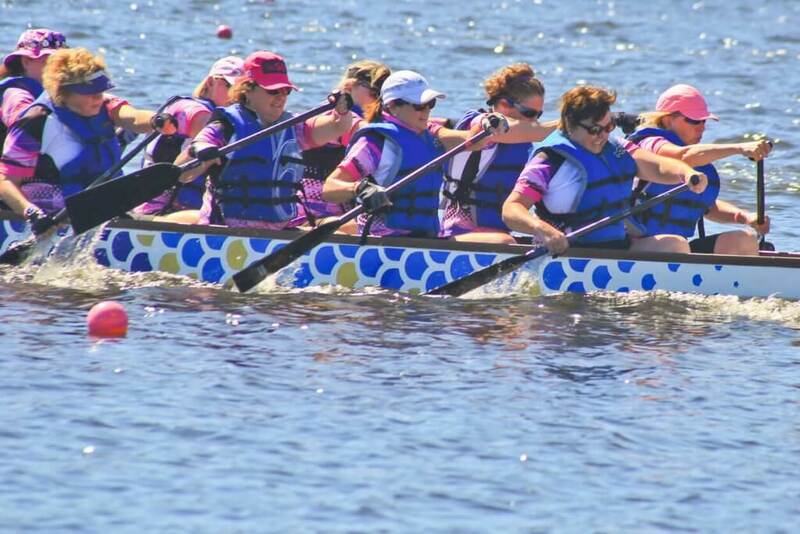 Every August, the Lake Champlain Dragon Board Festival attracts thousands of participants and tens of thousands of spectators. This is just a tiny taste, however, of the colourful Burlington flair. Burlington’s South End is famous for its burgeoning art community, and the city itself has a dedicated art department invested in the planning, education, promotion, and display of local art. This pairs nicely with the city’s lively local music scene! Don’t let summer slip away from you just yet! Pack up the family, hop into the car, and steal impulsively away to take one last big gulp of summer freedom before the season ends. Just don’t forget to pack your travel insurance along with you. You never know when it will come in handy… Trust me, you’ll thank yourself when the days grow shorter, and you’ll have the memories of green lands and cool waters to fall back on, to keep you going until next spring hits!